Phase Fatale is the techno project of Berlin-based DJ and producer Hayden Payne. 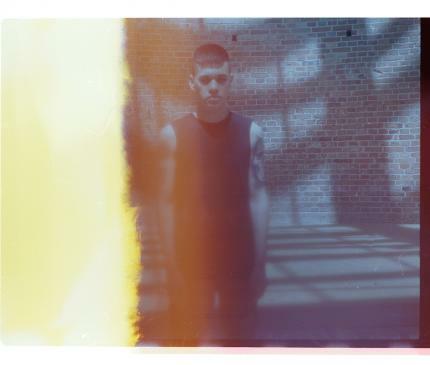 Originally from New York, Payne explored the post-punk/coldwave world through various projects over the course of a decade. Started in 2014, Phase Fatale served as an outlet for his own interpretation of darker and industrial-fused techno. Defined by rigid drum programming, cutting synthesizers and bleak samples, he has created a sound imprint that has transformed into a new electronic identity. This joining of sinister productions and cold atmospherics sculpt the landscape of future war. Phase Fatale has performed heavily throughout the world with his extended DJ sets and cathartic live performances. He released two EPs in 2016 on Jealous God and presented a live collaboration with Silent Servant during the label’s showcase at Berlin Atonal. These events were followed up with an EP on Unterton, the sublabel of Berghain’s Ostgut Ton imprint. Released to coincide with his regular appearances at the Berlin nightclub, the Anubis 12’’ continues to delve into Payne’s penchant for combining post-industrial textures with techno rhythms. In Fall 2017 Phase Fatale released his first full length debut album Redeemer on Hospital Productions along with an extended mix 12’’ of edits co-produced with Silent Servant. Redeemer expands upon Payne’s multitude of influences and pushes them further, deeper and harder than ever before, laying the groundwork for new mutations in electronic music.